SKU: Fineline Silver Splendor 508-WH 8 oz. 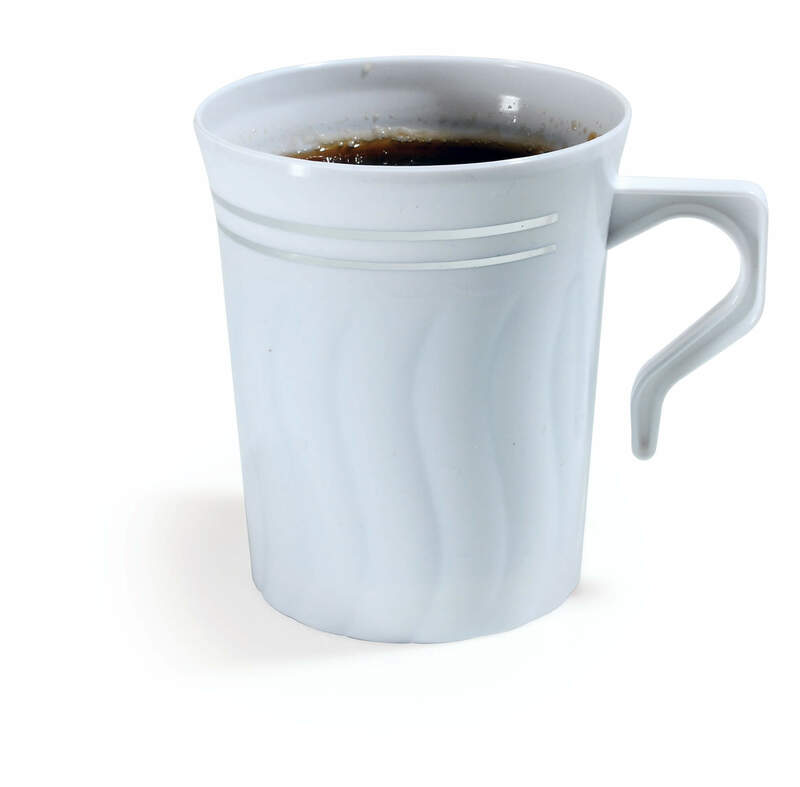 White Plastic Coffee Mug - 12/Pack. Categories: FINELINE, MUGS / MARGARITA / MARTINI / DESSERT CUPS, PLASTIC CUPS / LIDS. For some coffee come with a biscuit, for others coffee come with these Fineline Silver Splendor 508-WH 8 oz. White Plastic Coffee Mug! Fineline’s mugs feature a beautiful design and unique handle. These mugs mimic real china, yet they’re made of plastic. Your guest will enjoy that these are clean and sterile as they were never used before. Aside, they won’t believe that these are not china mugs! You’re staff will be in awe how easy cleanup will be. They’re disposable, convenient and affordable!